Avalon Beach RSL Club is a family venue, and we welcome children. The below conditions are in place and enforced to adhere to the Liquor Act, to ensure your child’s safety and to ensure all patrons visiting the club can enjoy the premises. All club patrons are advised that under the Liquor Act it is an offence to leave a child unaccompanied on club premises. This means all minors must be in the immediate vicinity of their parent and/or guardian at all times. Children are only permitted in the dining area and on the playground equipment – with the supervision of a parent or guardian. Children are not permitted on premises after 9pm. Children are not permitted in or near the gaming room, level one of the club or on any tiled area in-front of the bar. Legally, even for water or soft drinks, minors are not permitted to approach the bar. 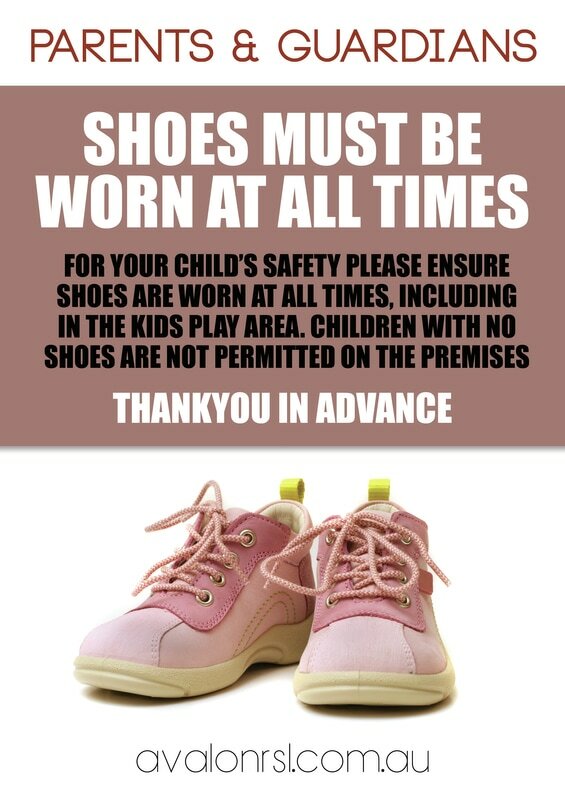 Children must wear shoes at all times on club premises; this includes outdoors and on the children’s play equipment. We want all children to enjoy themselves, however for courtesy of other patrons, please keep noise levels at an acceptable level so everyone can enjoy the venue. There is a very large area dedicated for kids to play and be kids. Please ensure children play in this area only and not on other furniture in the club, in particular the lounge areas. Under the Children & Young Persons (Care & Protection) Act , it is also prohibited to leave a child unattended in the car park or in the near vicinity of the club premises. Police may be called should a child be found unaccompanied which could result in criminal prosecution. Should a child be found unaccompanied on or near club premises, the responsible adult will immediately removed from the club and could be banned subject to a determination by the Board of Directors.